… it’s prob’ly okay occasionally to show some nice things that other good people are sayin’ about yeez… I launched SELF-PUBLISHING STEPS TO SUCCESSFUL SALES on Amazon Kindle a coupla days ago, and already two absolute gems of authors have written priceless reviews for it… I’ll try to stop blushing enuff to print them here, with no apologies nor stoopid false modesty… LUVVIN IT! Seumas Gallacher is a well-known authority in the indie social media circles, in addition to his thriller novels. 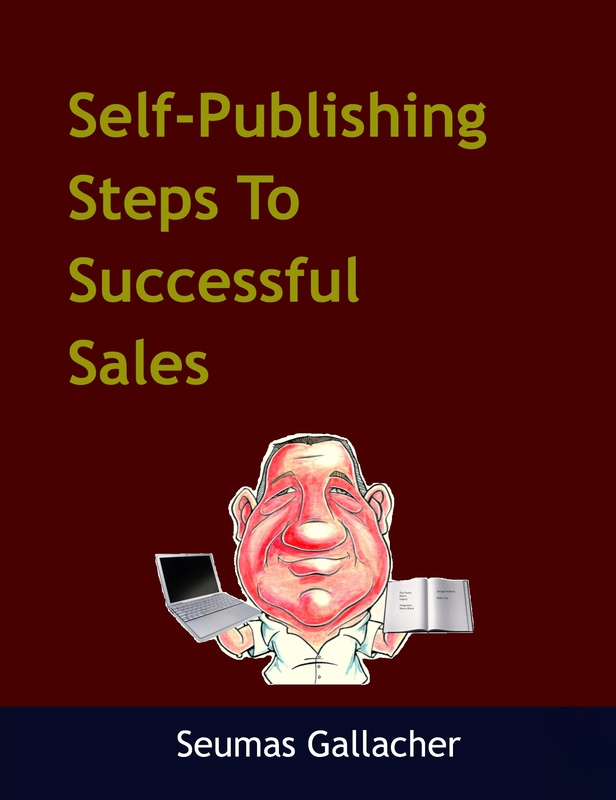 He has written one of the most concise step by step guides to self-publishing sales success that I have ever read. And I have read a lot. I wish that I had read this a year ago. Gallacher walks the reader in a thoughtful manner through the stages of campaigns that are essential to publishing and branding. He hits on the core survival programs such as Kindle, WordPress blogging, Twitter (and tweet management tools), Facebook, LinkedIn, Goodreads, etc. As a successful self-publisher, blogger, and tweeter, Seumas practices what he preaches and has been acknowledged for doing so through his uptake and followership. The guide is an inexpensive no-brainer manual for going out into the world for newbies. Loved it! His blog has a gazillion followers and his self published crime thrillers have well over 70,000 downloads, so Mr. Gallacher certainly knows how to not only write, but also how to catch the fickle winds of the reading market. But the question is, can he teach? The answer is a resounding YES. It’s a rare person that can do both, but Mr. Gallacher nails it on the head. He takes you through everything step by step, and never, as some how-to books are wont to do, assumes you are already a master of the subject. He lays it out in an easy to read fashion… For instance, I am not a math whiz…I hate math and the thought of budgeting spreadsheets make me want to run gibbering from the room in horror. But even the lessons on budgeting were so understandable that I think I could actually take a swing at this. If you have any desire to take the story in your head and put it out for people to buy and read, this is the self-publishing guide for you. I highly recommend it!